Breaking down is never expected, and it is never safe whether you’re in the city or the suburbs. 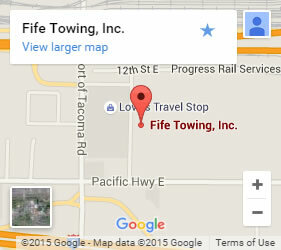 When you call Fife Service & Towing we get to you quickly and are prepared for any of your roadside assistance needs in Tacoma and the surrounding cities. Whether you need a quick-fix, like fixing a flat or a jump start, or you need to be towed, we have the solution. Our roadside assistance professionals have the experience and know-how to troubleshoot when an immediate solution may not be obvious. We have a large fleet of roadside assistance vehicles that come fully stocked with just about anything you could need to get back on the road. Our dispatch center tracks where our service vehicles are located and will get the one closest to you pointed in your direction right away. If you have a loaded commercial vehicle, we can handle load-shift and other solutions to put you back on track. 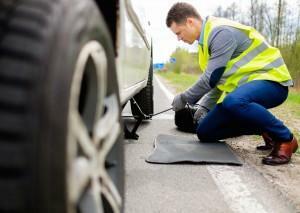 Our roadside assistance in Tacoma is 24/7 so we can be available whenever you need us! We are able to pull you from tight spots if you have run off the road or are stuck in the mud. If your vehicle is sound and able to drive safely, we can put you back on your way. As a locally-owned owned towing and roadside assistance company, we have been coming to the rescue of Tacoma residents and businesses for over 65 years! Our professionals are certified, well-trained, and experienced. That is why Tacoma has counted on us for fast, reliable roadside assistance for so many years. 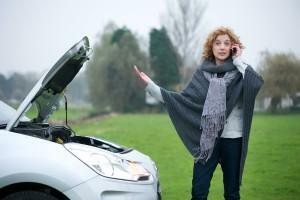 Call on us, day or night for the roadside assistance Tacoma has come to count on.